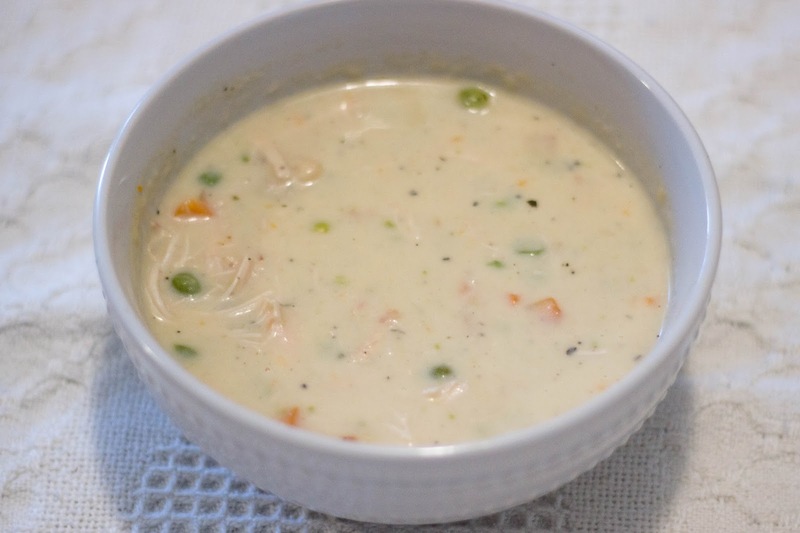 Tasty Tuesday: Chicken and Dumplings | For the Joy of Life. But, we're breathing, have plentiful food, and running water... and today is Tasty Tuesday! So, it can't be thattttt lame right? I absolutely love a hearty chicken noodle soup, but there's something so warming about chicken and dumplings. I made this on our first snow this year and it warmed us right up! 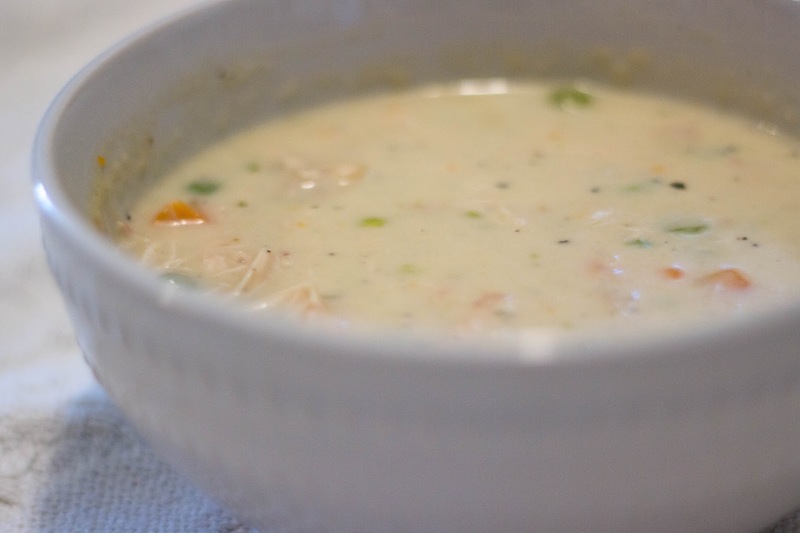 I love creamy soups and this one is just that! 1) Pour chicken broth, water, bay leaf, and bouillon in a medium/large pot over medium high heat and bring to a boil. 2) In the mean time prepare your dumplings. Whisk together dry ingredients and form a hole in the middle like a volcano. Whisk together melted butter and milk then pour into the hole. Fold the dry mixture into the hole until everything is combined. 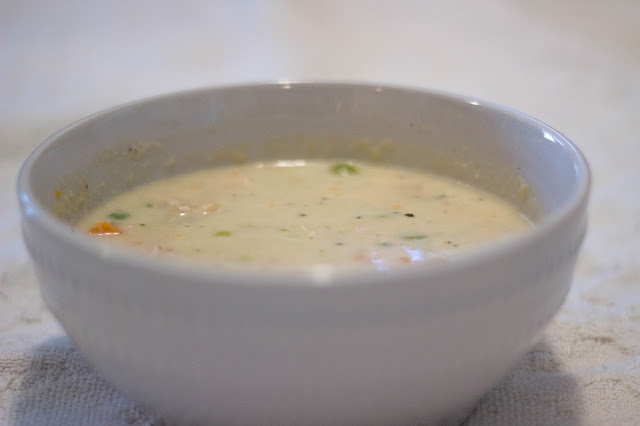 3) Drop dough by the spoonfuls into boiling soup. Cover and let simmer on medium heat for 20 minutes. 4) Take out your bay leaf and add in your shredded chicken. I cheated and used a rotisserie chicken from Costco but feel free to cook and shred your own chicken. Add in the frozen peas and carrots as well as about a tbsp salt and tsp pepper. Give it a good stir and let simmer covered for another 15 minutes. 5) Mix in your cream and salt and pepper to taste. I always add more ;) You can serve immediately or let it sit for a few more minutes. Enjoy! I have a few cookie recipes I'm excited to share with you guys! However, I also have some fun healthier recipes I'm excited to share too. Countdown til Christmas is on!